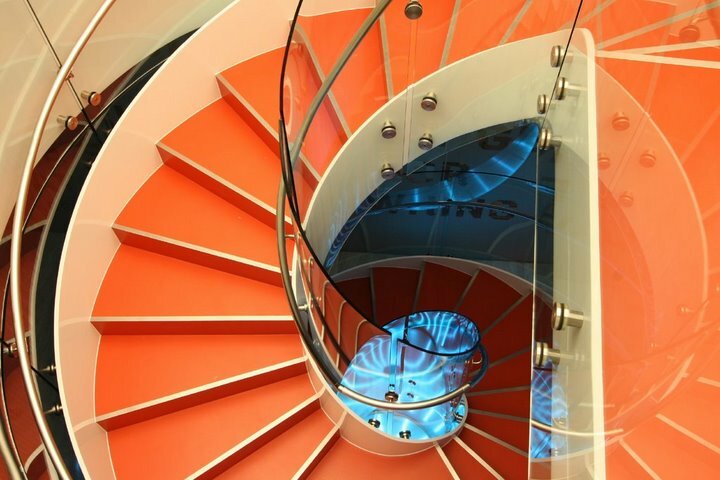 Please take a look below at some of the many projects we have completed. 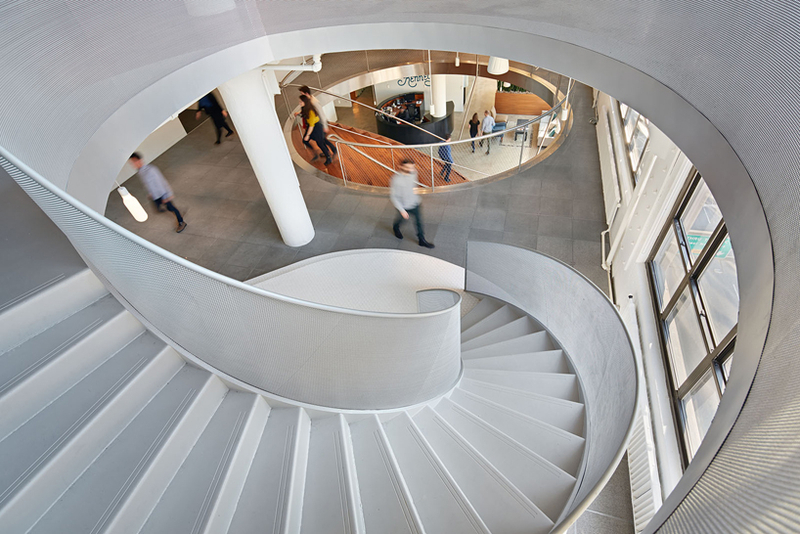 We have compiled some case studies of some of the many projects we have worked on. 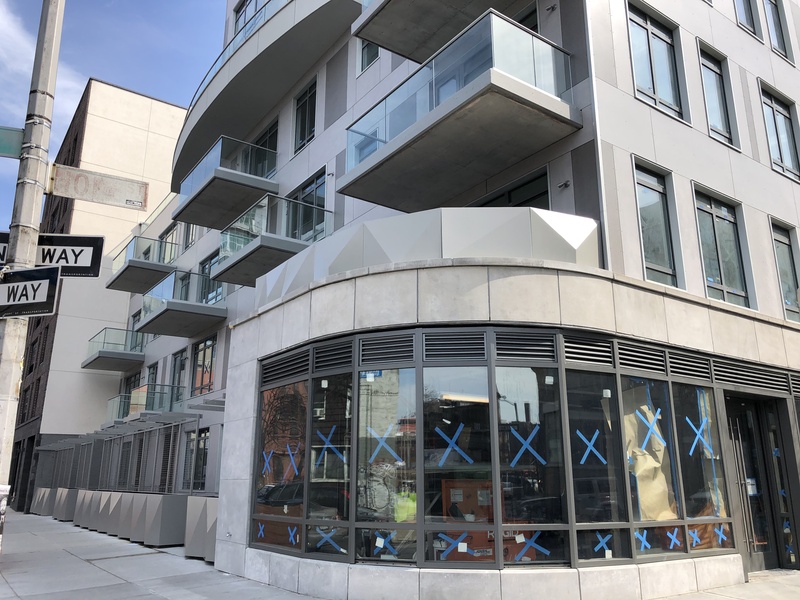 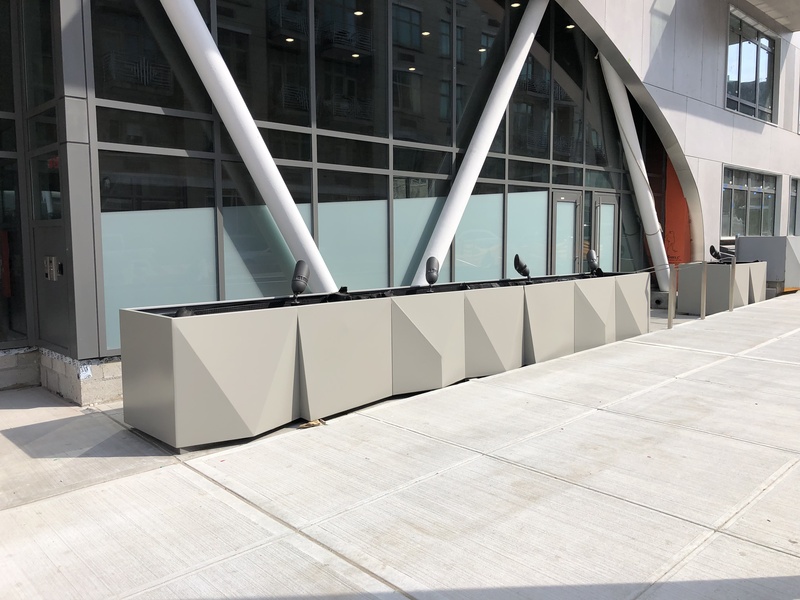 We fabricated two rows of planter boxes for this building, a row for the upper balcony and a row at street level. 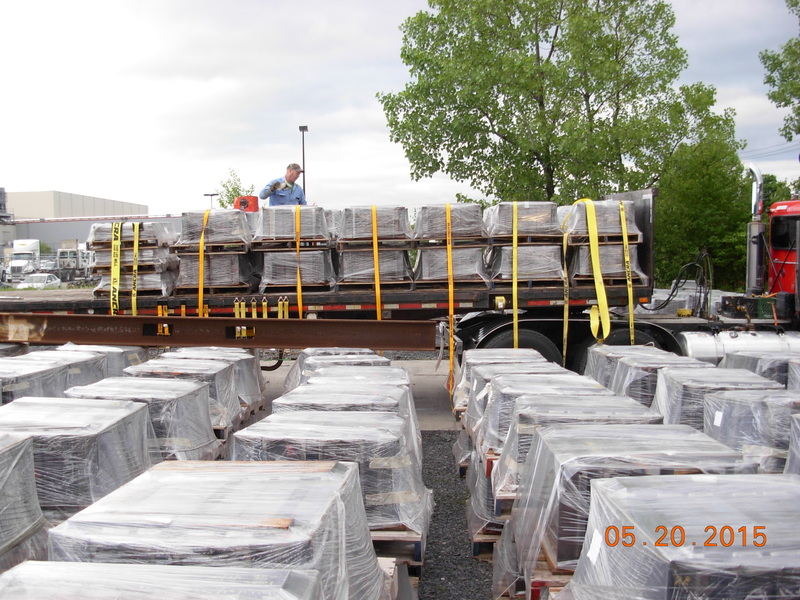 The upper section consisted of 7 individual boxes., the lower section 15 boxes. 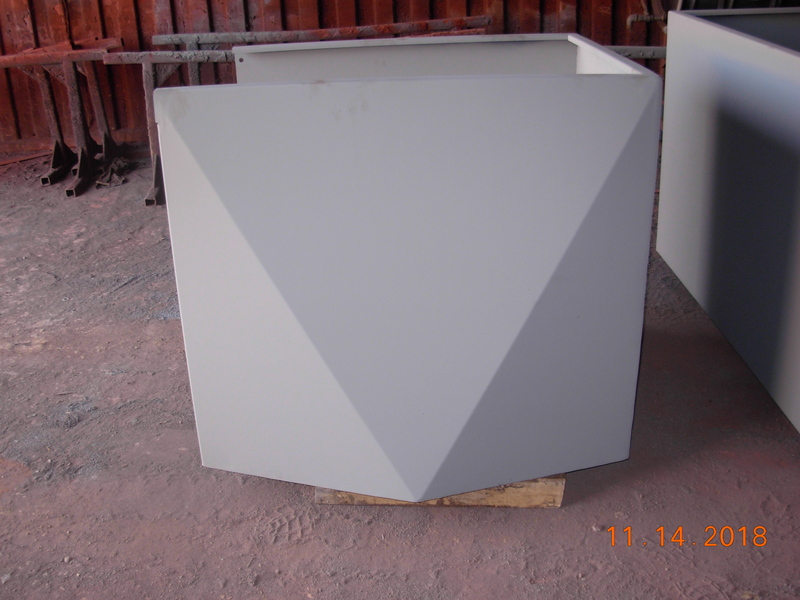 The complex bending of these boxes and making each one come together properly proved a challenge for our team. 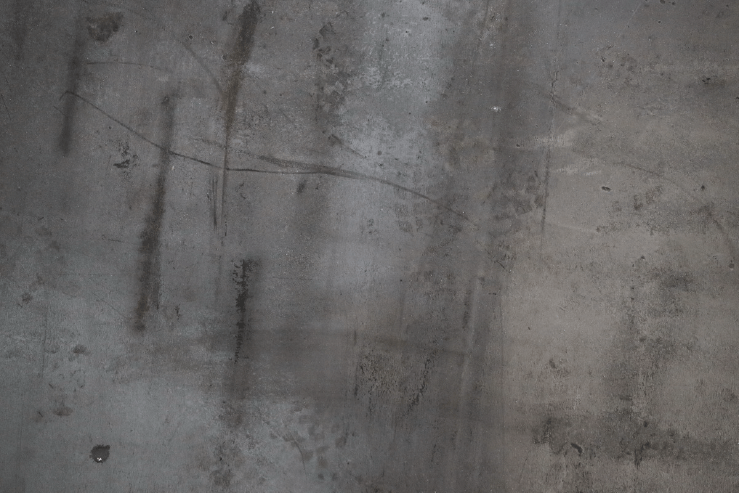 However, the finished product shows why they call us Brakewell. 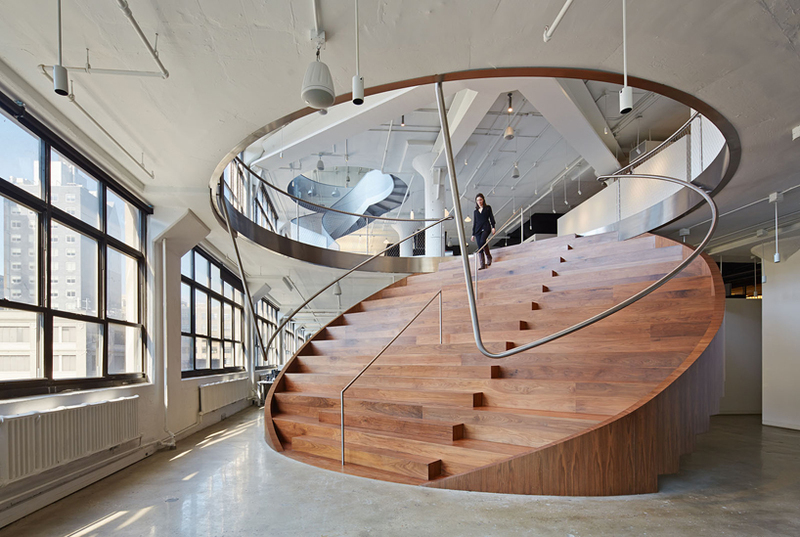 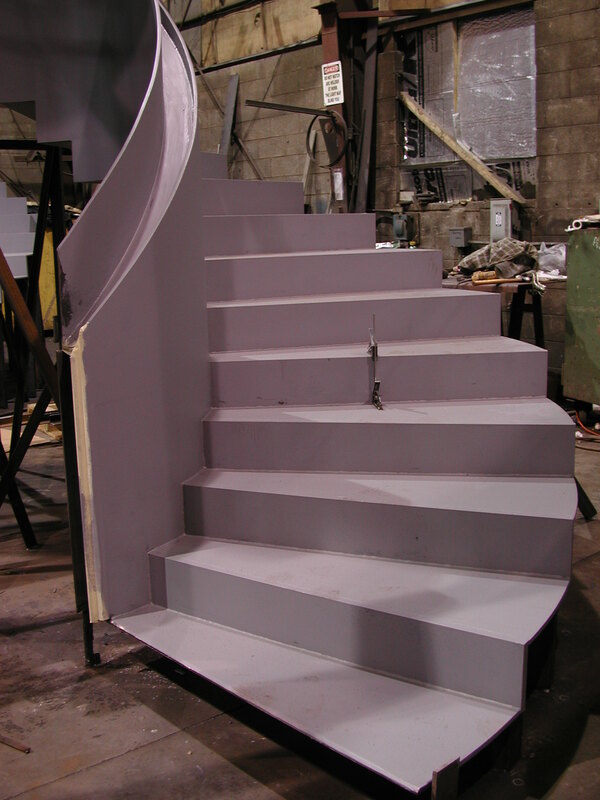 The unique design of these stairs was exciting for Brakewell to fabricate. 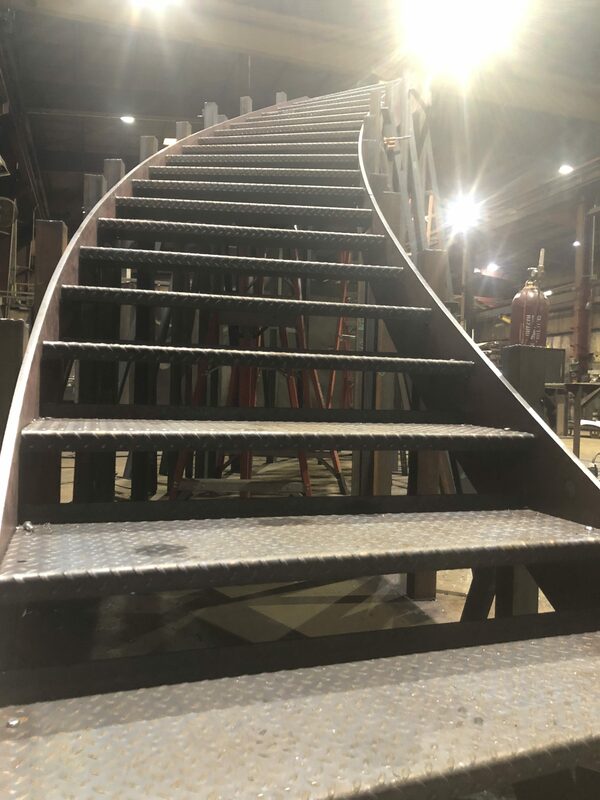 We have been involved with many different types of stairs, and we jump on the opportunity to do projects that are more outside the box. 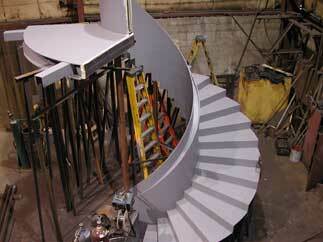 This project was a combination of two stairs; a coin stair and a swoosh stair. 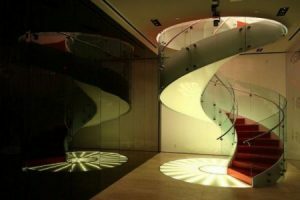 The contractors for this project wanted to ensure that the staircases of this office would be the focal point of the room, and we delivered. 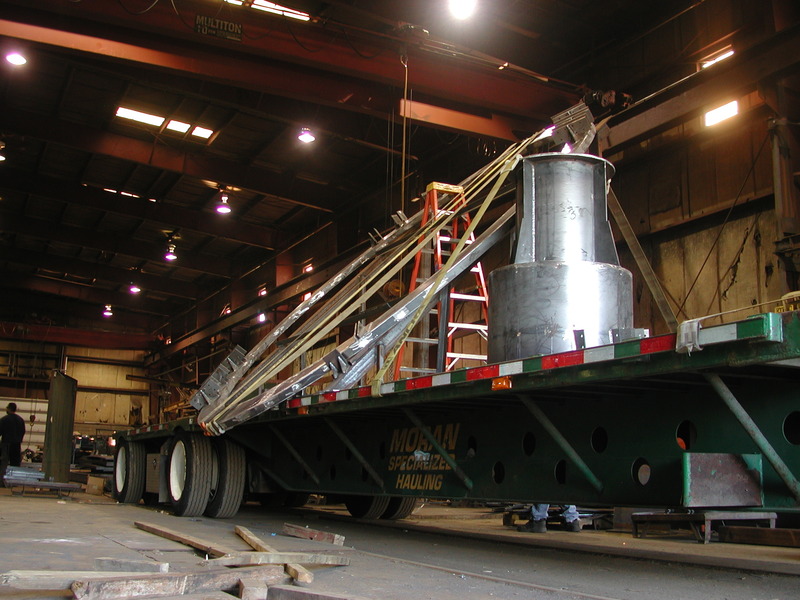 Brakewell holds an AISC certification in 3 categories; Steel Building Structures, Simple Steel Bridges, and Bridge and Highway Components. 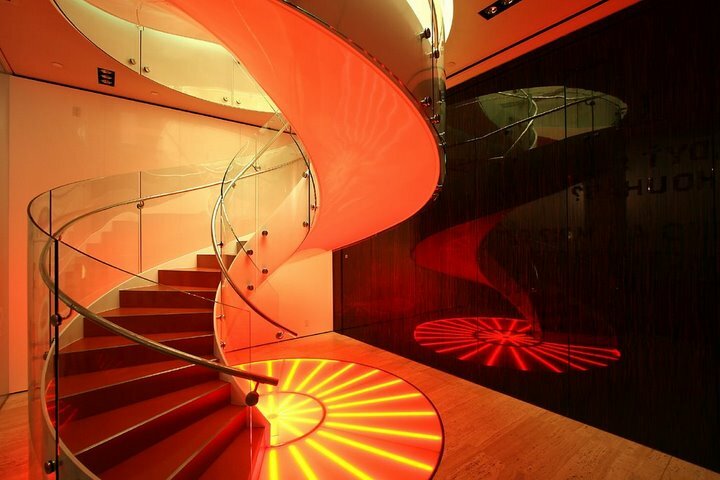 As a result, we have had the opportunity to work on projects such as this. 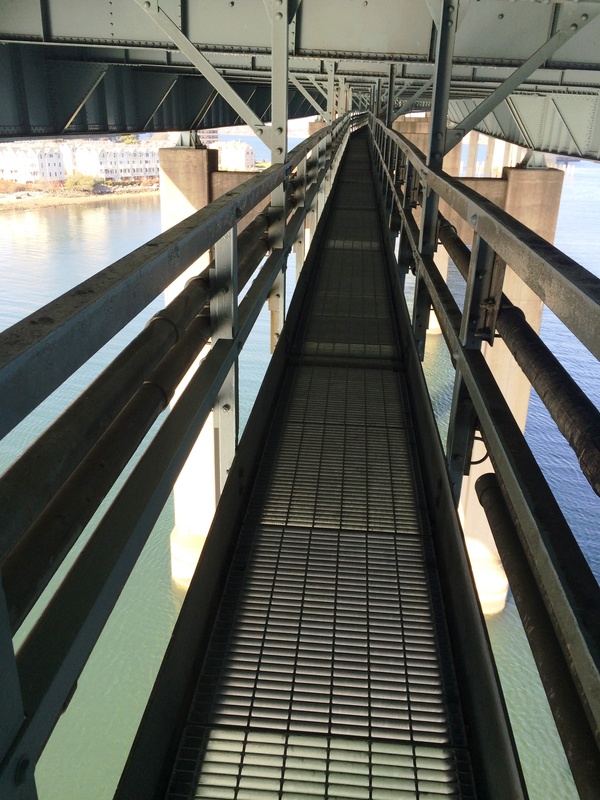 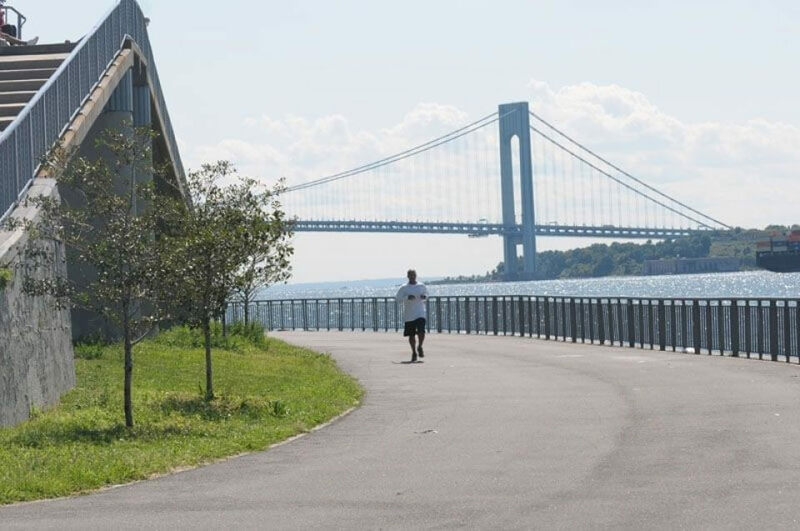 We fabricated many components and repairs for the Throgs Neck Bridge over the years including the catwalk in its entirety. 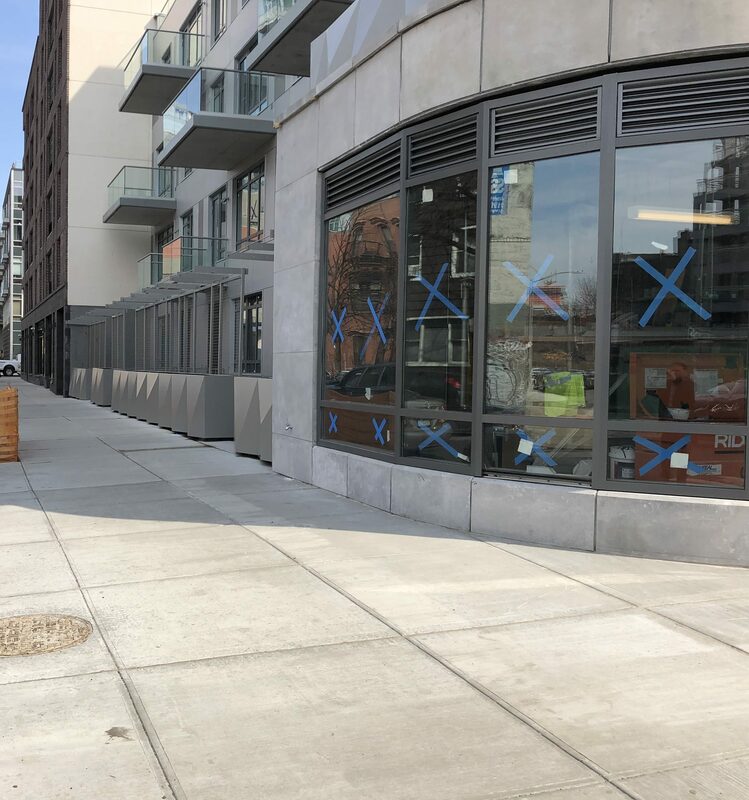 These repairs are always ongoing, and some of our most recent projects include median repairs, repairs to the Bronx tower railing, ladders and ladder fencing. 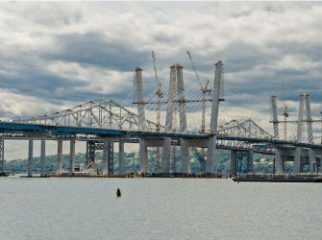 The Governor Mario Cuomo Bridge previously known as the Tappan Zee was a major ongoing project at Brakewell from 2015-2018. 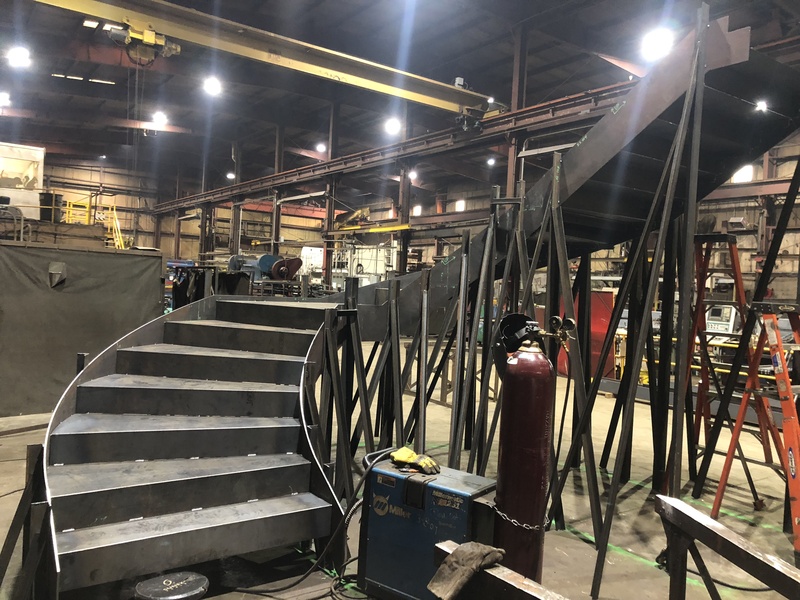 We did a large amount of work on the new bridge and over the last 3 years our shop has always had a project for the new bridge under fabrication. 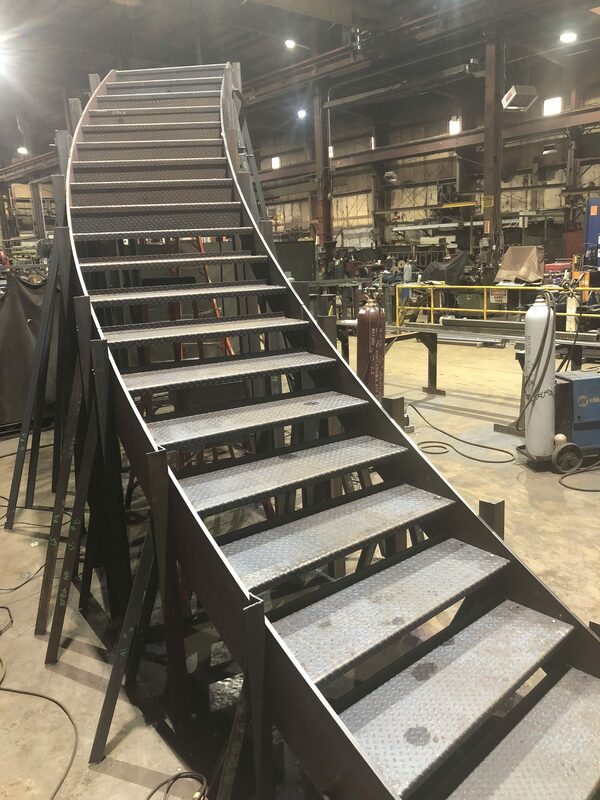 A few examples of what Brakewell has fabricated are pile hangers, median barriers, ladders, and temporary access platforms. 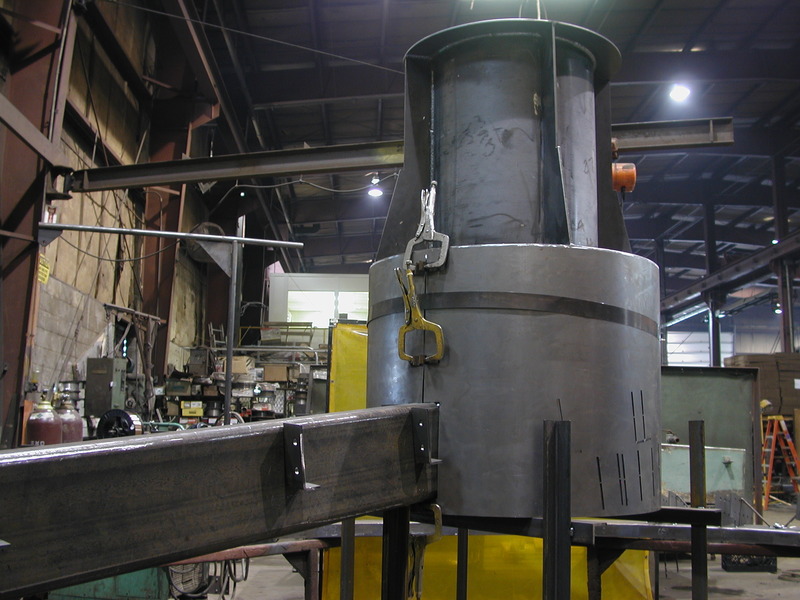 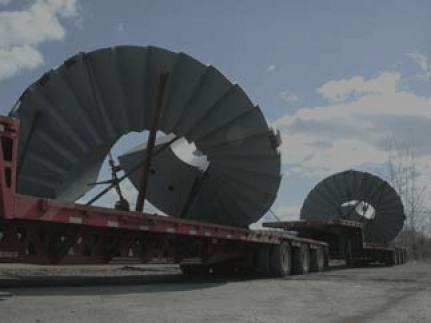 We fabricated components for both the breakdown of the old bridge and construction of the new bridge. 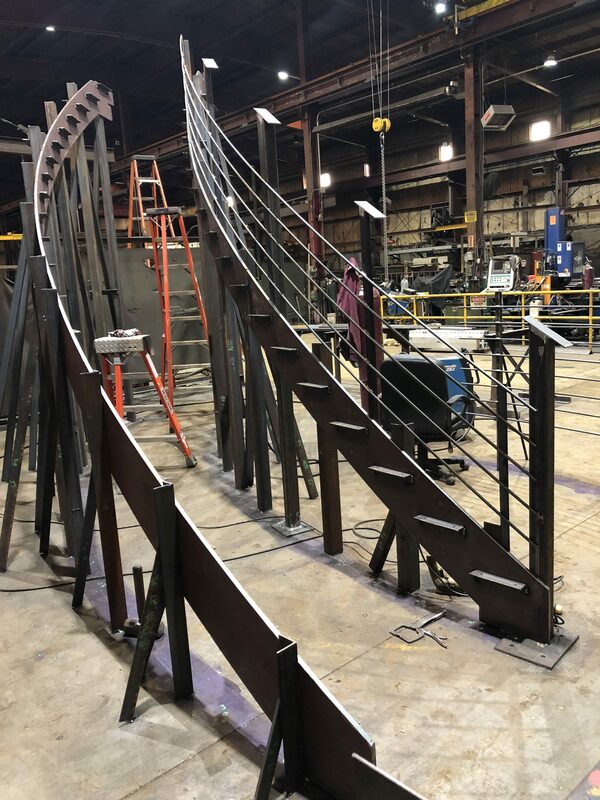 Landing projects like these mean a great deal to Brakewell Steel and has solidified our feelings about being AISC certified. 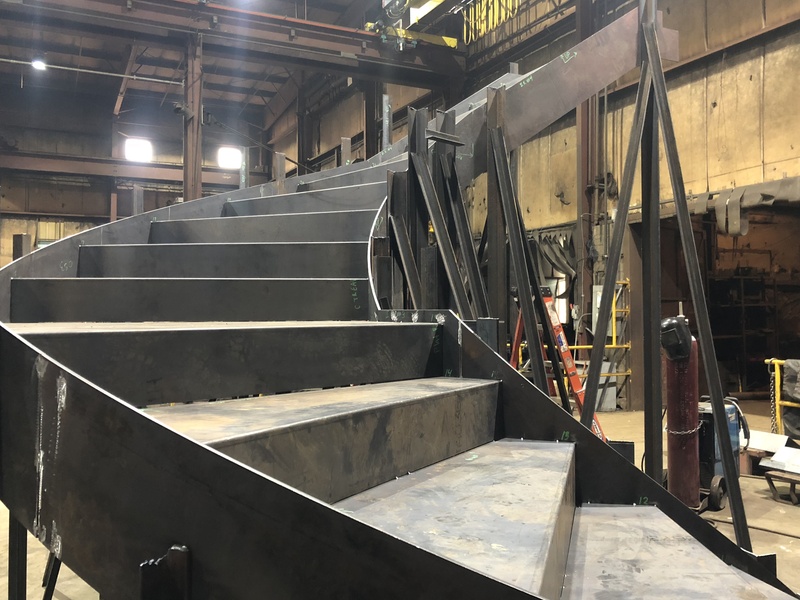 Being able to fabricate some of these bridge components is something Brakewell is extremely proud of; especially when this bridge is one of the most well known in the state. 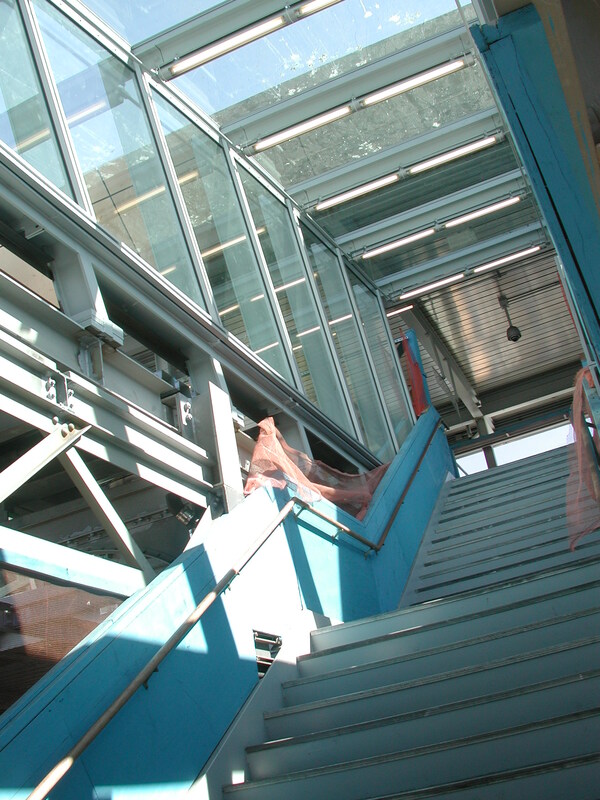 Brakewell Steel frequently fabricates frames like the one used here. 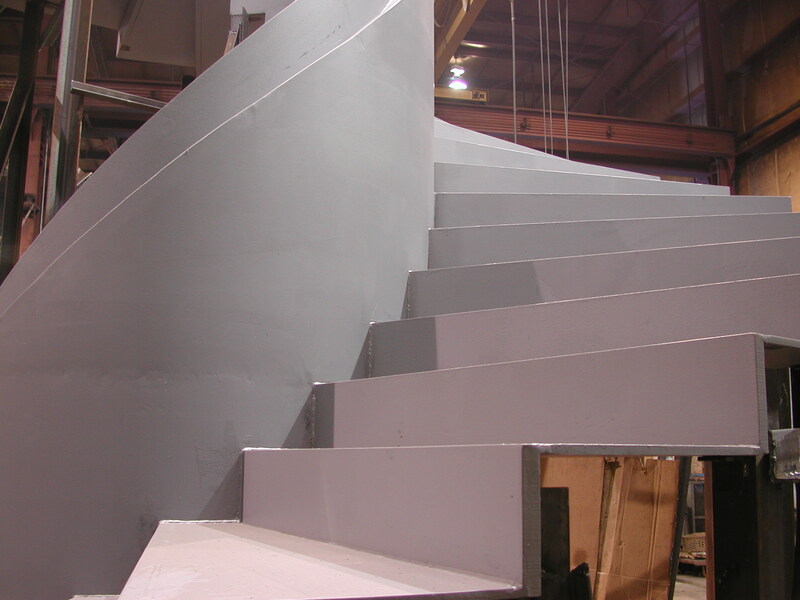 As a result, we are used to seeing our work covered in cladding or submerged in cement. 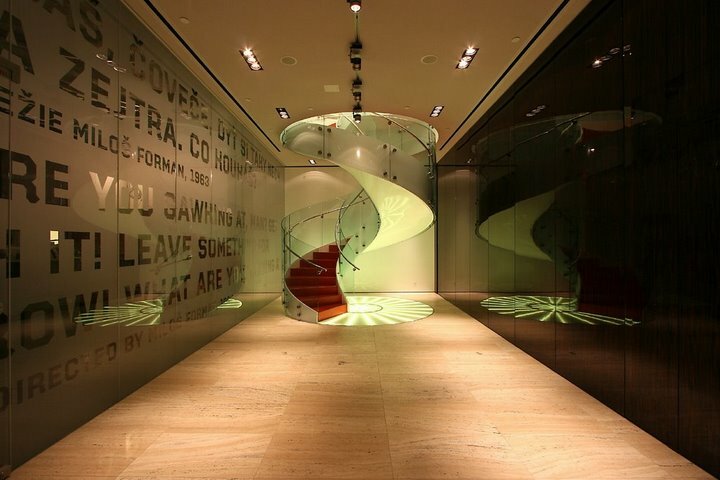 Working on this project was a joy for our shop. 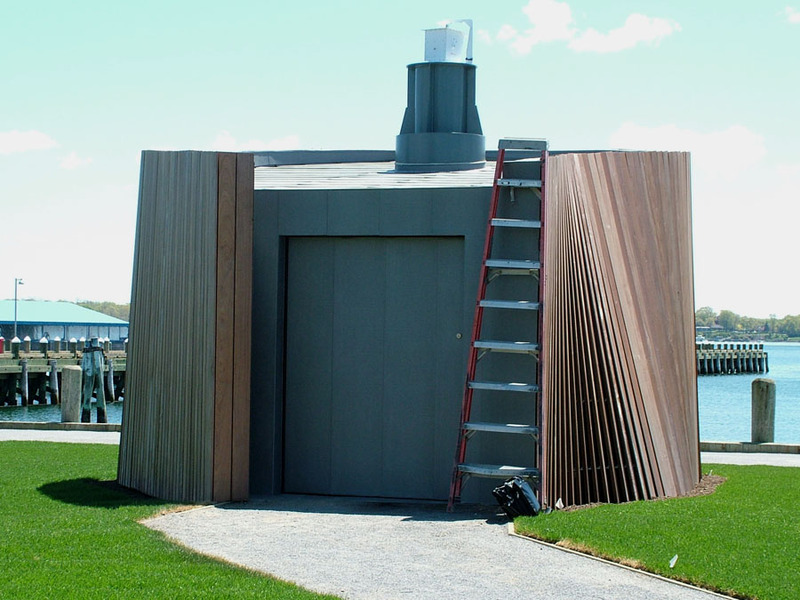 There are 50 public camera obscuras located throughout the world, and this is one of only 5 in the United States. 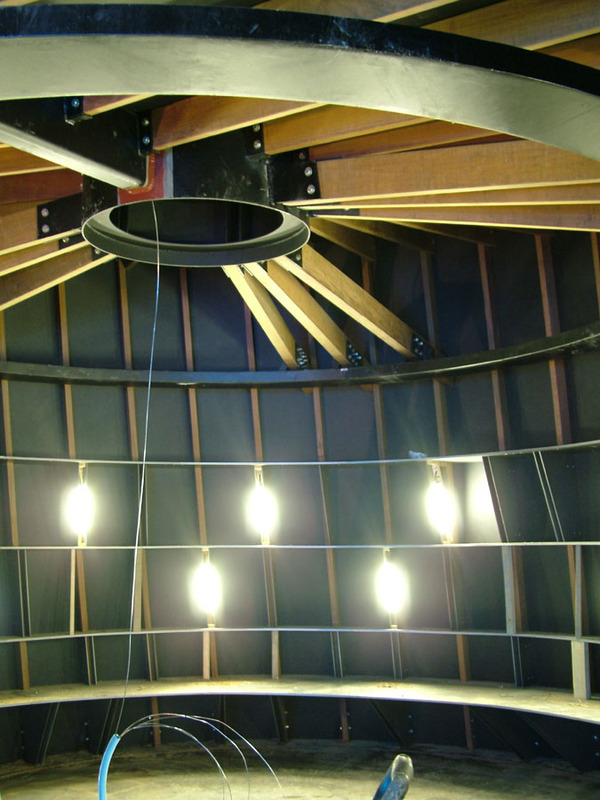 If you would like more information on this camera obscura please follow the link below. 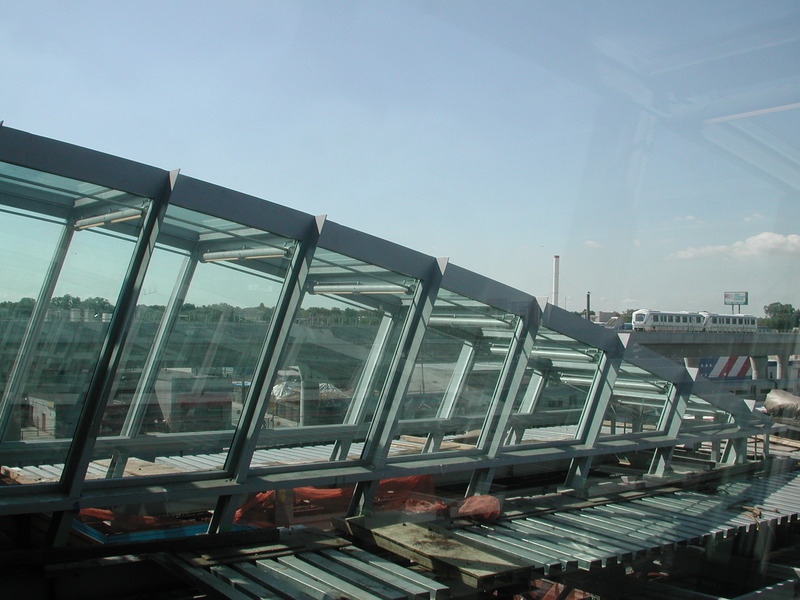 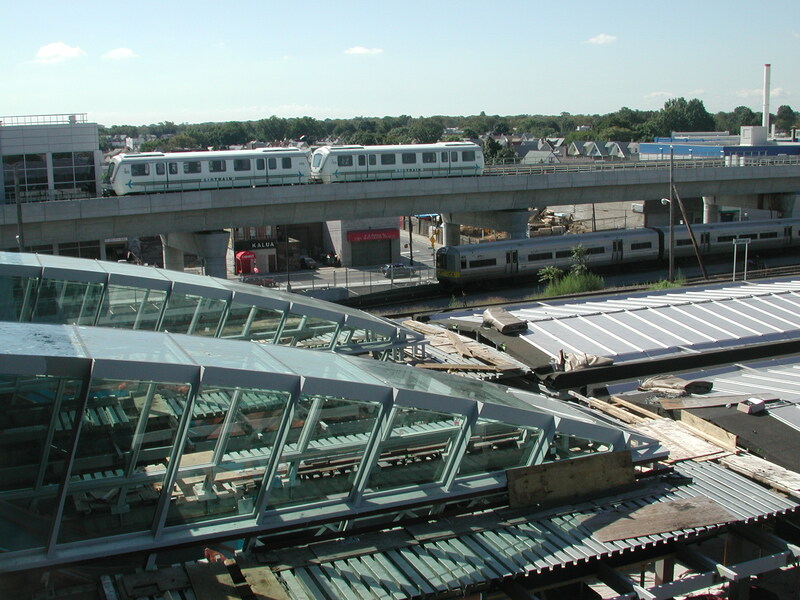 We have fabricated numerous items for JFK airport over the years. 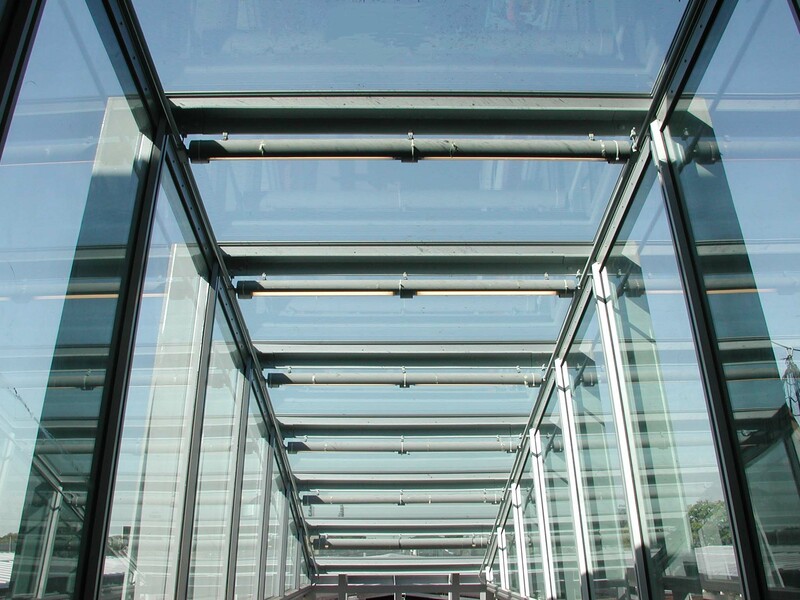 Easily our most memorable was fabricating the skylight canopy for the pedestrian access platform for the air tram. 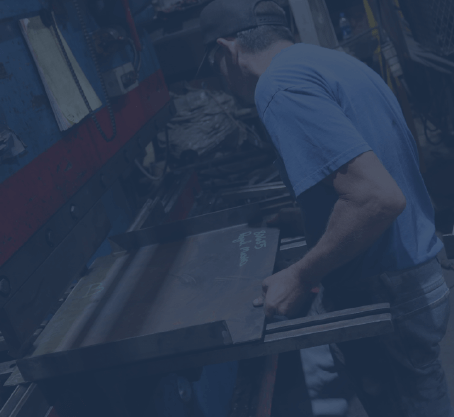 Brakewell can service all of your fabrication needs. 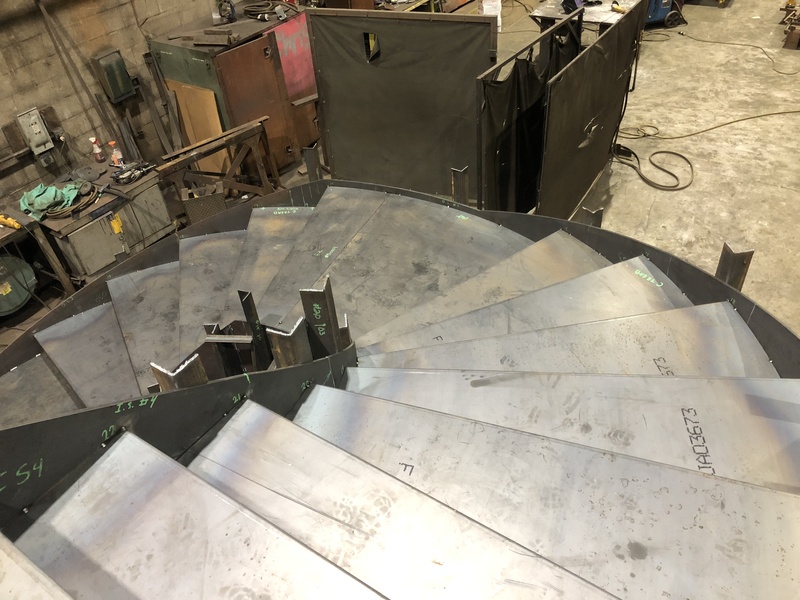 Our shops fabrication capabilities are not limited to what we have done in the past; we thrive on bringing your ideas on paper to life.